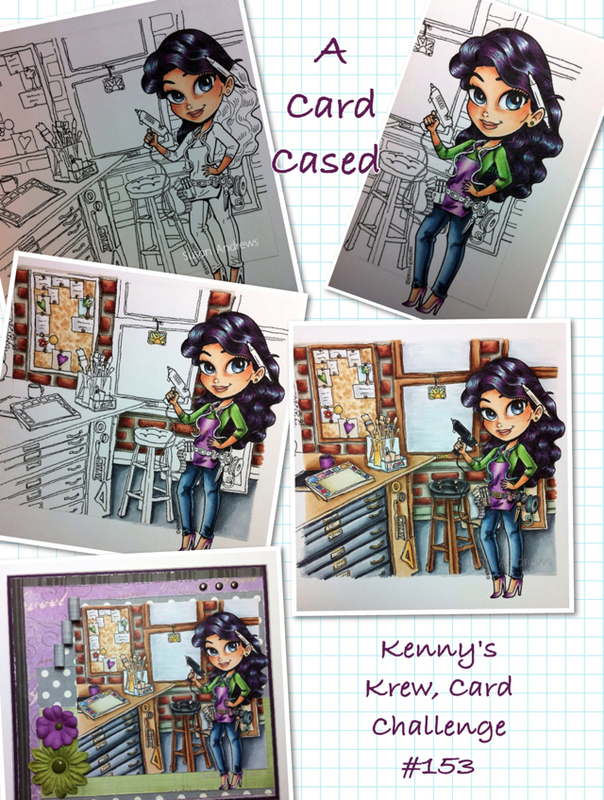 Today I am sharing with you another Kenny's Krews' Case a Card Challenge. At first I was not sure what was meant by case a card, although it became clear once I visited the design team blogs. 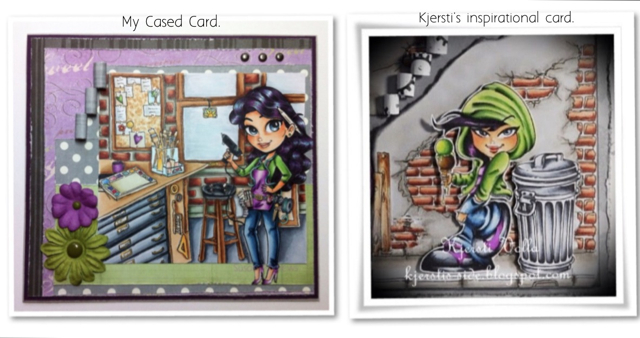 Thankfully on Danielle's blog she informed us that this challenge was to be inspired by one of their cards. Therefore, my inspiration came from Kjersti. From the moment I saw her card I was enthralled with the vibrant colours and detail. The image I choose to use is my Spotlight prize digi Craft Star. I started by making a mirror image of her so she would fit into the background I found on Diviant Art. Then I added bricks to the back wall as well as simple images to the notes on the cork board. OMG. This is absolutely fabulous. Your coloring is out of this world. You've paid so much attention to detail and have CASed the card beautifully. Good luck and please stop and visit us again at Kenny K's Krafty Krew Challenge. Thanks for casing a card at kkkk! 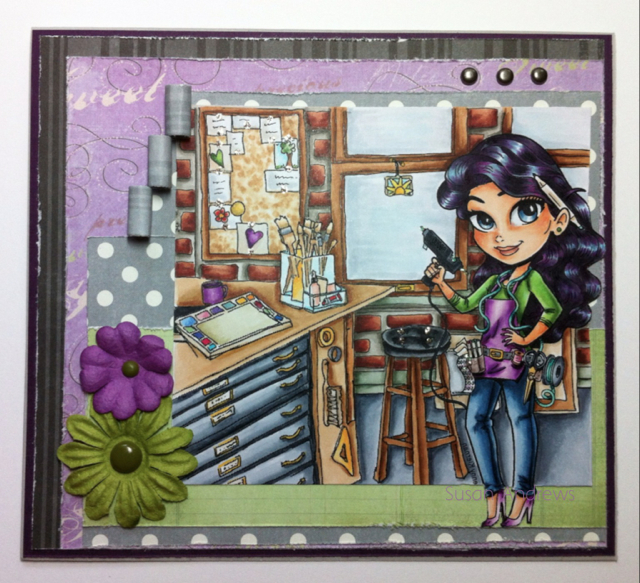 Your card is gorgoeus Susan, great coloring and a fabulous scene you have created!